Emotional self-control is bodymind mastery, so you must manipulate both your body and mind to generate an emotion at will. 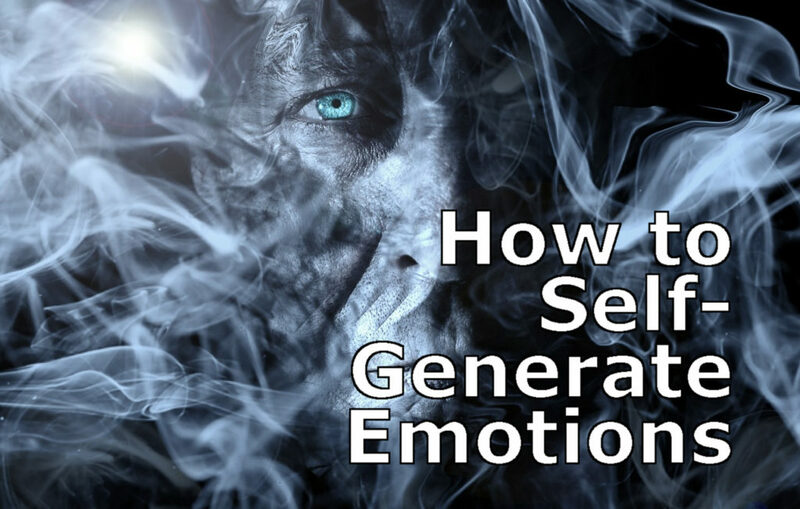 To self-generate an emotion, you must act as if you were feeling the emotion already, which means (1) to imitate the emotion’s physiological profile, (2) to change your body language, and (3) to alter your goal-oriented behavior. To generate high-arousal emotions, move your body to increase your heart rate (e.g., jump around, pound your chest, and start hyperventilating to facilitate anger generation). To generate low-arousal emotions, rest your body to lower your heart rate (e.g., lie down, relax your muscles, and breathe deeply to facilitate joy generation). With the muscles in your face, you can smile, frown, etc. to mimic the emotion’s facial expression (e.g., smile smugly vs. maliciously). With the muscles in your limbs, you can posture, gesticulate, etc. to mimic the emotion’s kinesics (e.g., walk proudly vs. shamefully). With the muscles in your throat, you can prosodize, intonate, etc. to mimic the emotion’s paralanguage (e.g., speak lovely vs. angrily). To generate approach-based emotions (love, joy, anger, pride, etc. ), approach (e.g., get after your goal, compliment a person, or attack someone). 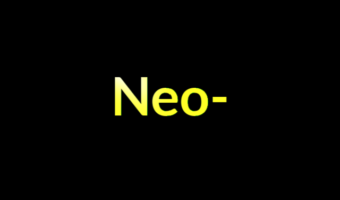 To generate avoidance-based emotions (anxiety, disgust, sadness, shame, etc. ), avoid (e.g., stop taking action, turn away from something, or isolate yourself). To self-generate an emotion, you must think as if you were feeling the emotion already, which means (4) to judge the current situation; then pull the final trigger by (5) visualizing an emotional event. Tell yourself that you are in total control of the situation (to foster, e.g., pride and delight) vs. utterly powerless (to foster, e.g., boredom and depression). Tell yourself that you are going to achieve your current goals (to foster, e.g., relaxation and happiness) vs. fail miserably (to foster, e.g., distress and frustration). Tell yourself stories about the people involved, judging them positively to foster positive emotions (e.g., “She’s just having a bad day”) vs. negatively to foster negative emotions (e.g., “She’s got vicious intentions”). Vividly recall a past memory of a situation where you intensely felt the emotion you want to generate (e.g., a personal success to trigger pride, a grim injustice to trigger anger, or a brutal break-up to trigger sadness). Vividly imagine a state in the near future where you will experience the emotion you want to generate (examples as above, but recollection is typically more effective than projection). Move around hectically, breathe faster, and pound your chest to put your body into fight-or-flight mode. Put on a frown, raise your voice (ideally, force yourself to yell), tense your neck and shoulder muscles, clench your teeth and fist, and make threatening gestures to mimic the body language of anger. Tell yourself that the person you want to get angry at is an obstacle to your success, actively holding you back with malicious intent, and that it is in your hands to change that. Visualize how a similar situation in the past made you furious, play the scene over in your head to remember how your anger-fueled dominance made you succeed, and how great the outcome will be if you now snap like that again (I hope you realize that I’m not mighty serious here). Move gracefully, breathe deeply, and relax your muscles to activate your parasympathetic nervous system. Put on a smile, speak warmly, and open up your body to mimic the body language of joy. Tell yourself that you are grateful for being in this situation (whatever it may be, even if the only good thing about it is that you can still breathe), that your present moment is rife with spiritual excellence, and that you can always rely on the power of your will to be strengthened and enforced. Think about the people in your life who love you, who have loved you, and for whose mere existence, even if it is a thing of the past, you are eternally grateful.